Get close to top-notch happenings. SUMMER AND WILMINGTON — PERFECT TOGETHER! 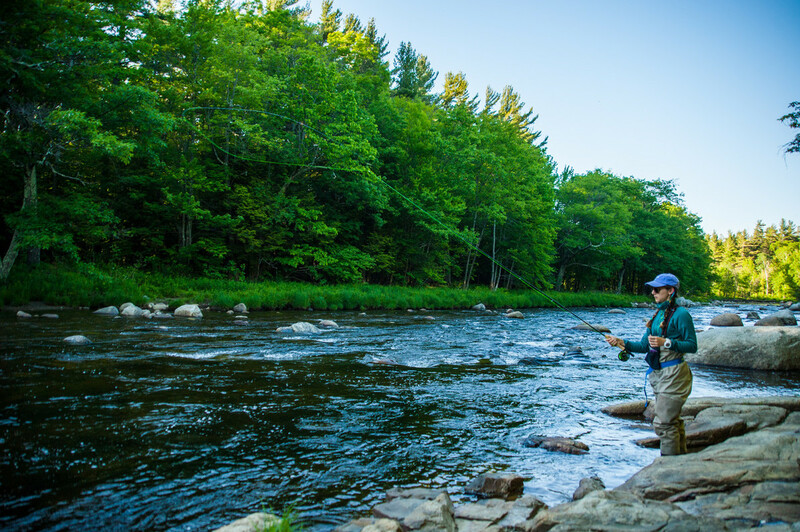 The Whiteface Region is a great fishing destination with the West Branch of the Ausable River and several ponds, abundant with trout as well as other species. April brings gradually warmer temperatures and a lot of water with the melting snow and ice. 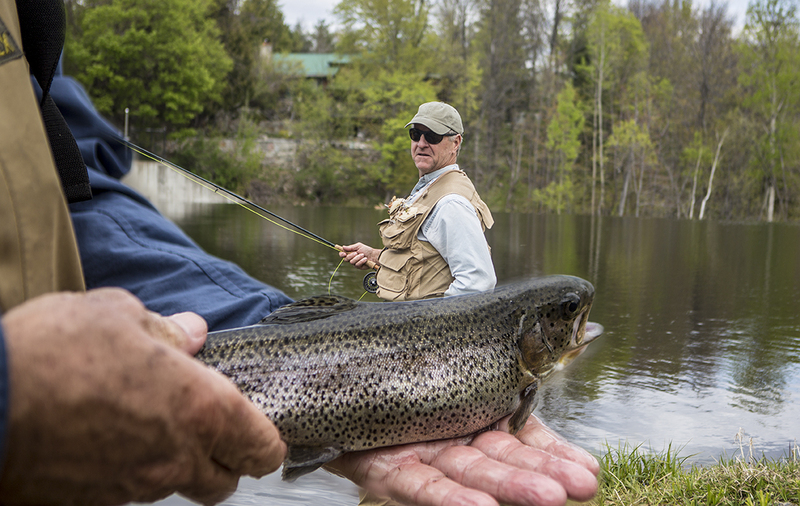 May is an excellent time for fishing in the Adirondacks, with fully open waters and plenty of fish. In June you will find the water is still quite cool and hatches are rich. Expect a long and plentiful season running into the fall. Check here for more information on how to get started. When the ice melts, the Wilmington Town Beach opens and becomes a great lakeside retreat for all ages. The beach also hosts live music and offers a playground for children. After a swim in the gentle water, top the day off with soft serve from the legendary Whitebrook Dairy Bar. Whiteface is big on everything, including events! Don’t miss the Ausable Two-Fly Challenge May 16 - 18. Expect more than just competition and prizes. There will be a welcome party at the Wilmington Town Beach featuring a bonfire, food trucks, beer vendors, and “campfire” music by Ausable Branch. Check here for more information. 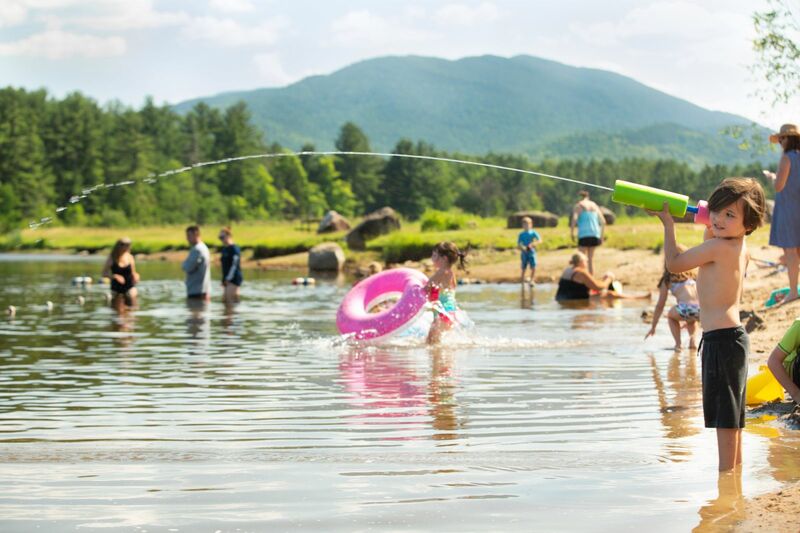 There’s fun all season in the Whiteface region so keep up to date on events. For great hiking check out Whiteface’s three trails for outstanding 360-degree views of the surrounding mountains. It’s an all-day adventure, so plan accordingly. For a much easier hike check out Cobble Lookout, where the view is grand but the effort is minimal. The Flume Trails , a trail system of 10. 5 miles, are mellower offering a level hiking trail with vistas across scenic wetlands and interesting brook crossings. While it’s fun to wander the Flume Trails, it’s even more fun to try them on a mountain bike. 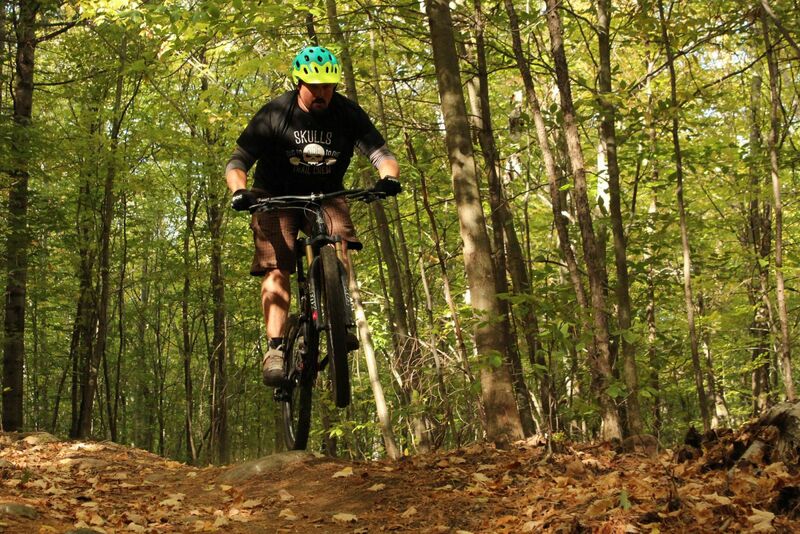 Wilmington is home to the best mountain biking in the Adirondacks, and our ever-expanding trail networks were designed to ease novices into the sport and to challenge seasoned riders. Hit up the Flume Trails or the Hardy Road Trails and get in on this thriving new scene! There are few things as beautiful as the waterfalls and whitewater of High Falls Gorge, which is also a great place to get together for a reunion or wedding. You don’t need to be an expert of the outdoors to see this amazing place up close — let the railings, bridges, and walkways make access easy. Who can resist Christmas cheer in the summer? 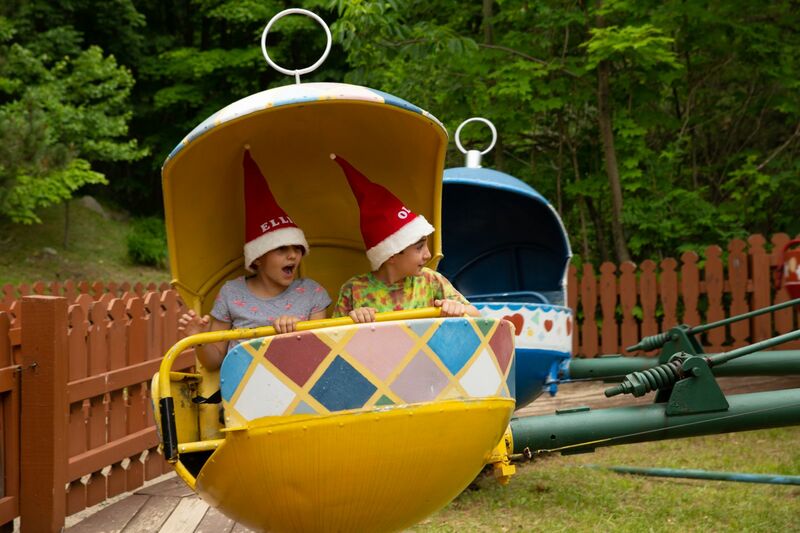 The North Pole Campground and Inn is a family-run resort located along the Ausable River. Aside from it’s Santa-themed park, it has two outdoor pools, two playgrounds, mini-golf, boat rentals, fishing area, gemstone and fossil mining, access to trails for hiking and biking that connect to state trails, and a gift shop that will take you back in time in a good way. After a day of adventure, check out the village of Wilmington with its unique shops and restaurants. 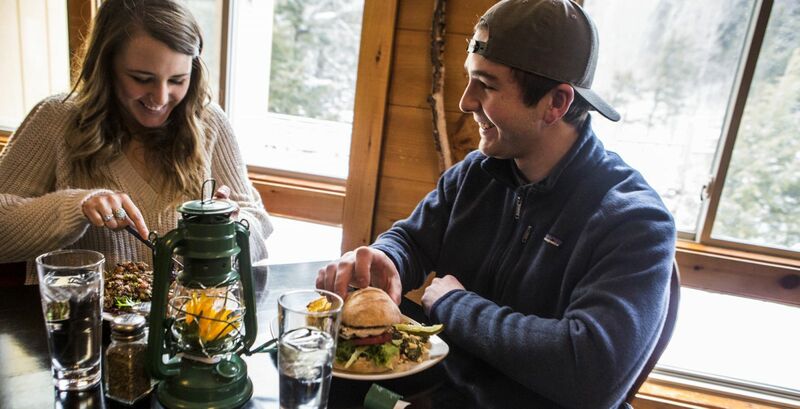 Chill out at the bar with a local craft beer, enjoy a fantastic meal, and treat yourself to an upscale room or rent a cabin for the full Adirondack experience! There’s also no shortage of unique, independently owned stores with local flair, featuring such goodies from handmade chocolates to fly fishing gear. 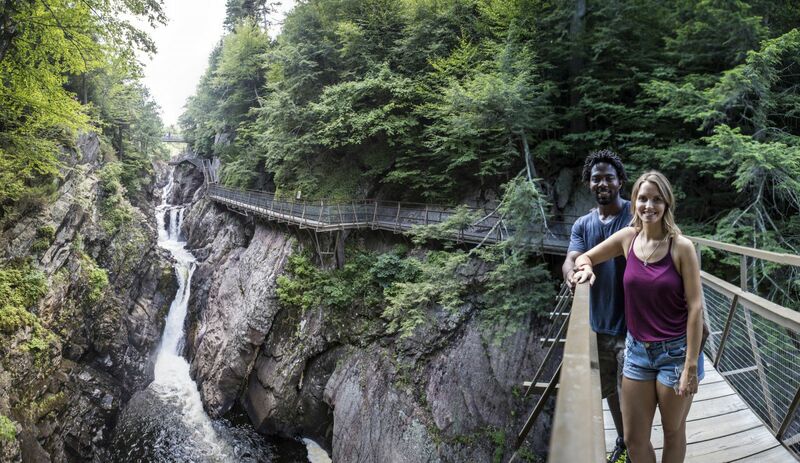 Get close to nature in the Whiteface Region. Summer is time for peak fun so start planning your trip today!